A bill that allows people to carry concealed weapons into more areas such as daycares and college campuses is moving through the Legislature as the clock runs out on this year’s session. There’s a list of places where people are automatically banned from carrying concealed weapons. That includes daycares, airport terminals and government buildings. But a bill moving closer to becoming a law would cross those three places off the list, with some exceptions. 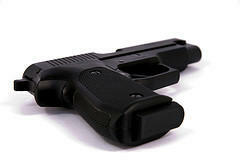 Several bills to loosen restrictions on guns took the first step toward becoming law. Supporters say the bills would lift overly burdensome regulations, but others say it’s a sign that Ohio is going in the wrong direction. Republican State Rep. Ron Hood of Ashville wants to change the law to essentially allow people to carry concealed weapons without a permit—which means bypassing background checks and training. He says lawful gun owners in Ohio deserve these changes. Montgomery County prosecutors have charged a 16-year-old for his connection with the attempted robbery of a shopper and the fatal shooting of another teenager. Two teenagers who were with a 16-year-old boy who was shot by an adult outside the Dayton Mall last month have been charged with his death. The shooter has been cleared on the basis of self defense. The Miami Township Police Department says 16-year-old Jawaad Jabbar attempted to steal a pair of shoes from a man with a concealed carry permit on Dec. 20. The permit holder took out his gun and shot Jabbar once. He died later in the hospital. The Montgomery County Prosecutor’s Office says the shooter will not be charged and his name hasn’t been released.